It’s official! Another critical neighborhood crossing will be receiving curb ramps thanks to the hard work of West Woodland neighbor Sarah Meyerhans. 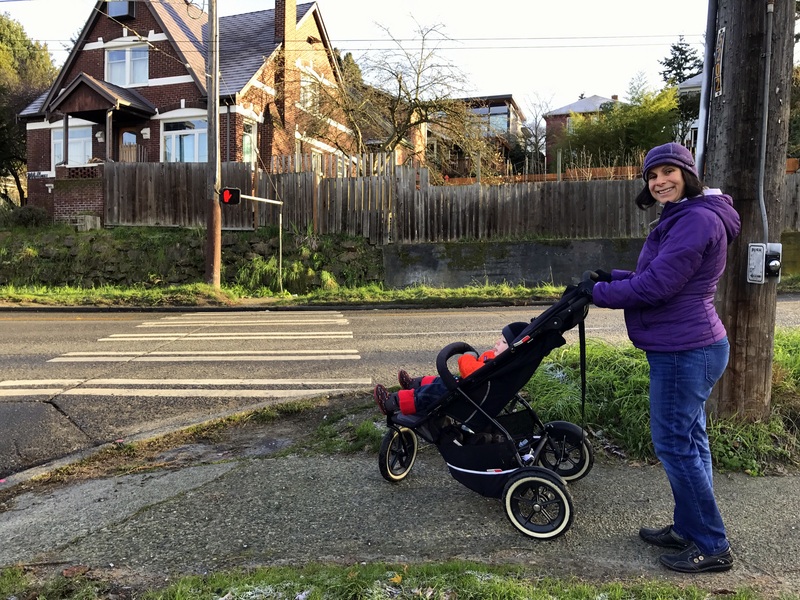 A few months ago Meyerhans received a flyer in the mail from the Seattle Department of Transportation (SDOT) announcing available funds for neighborhood street projects. The Neighborhood Street Fund (NSF) program pays for transportation projects identified and prioritized by the community. Projects range from crossing improvements to creating unique public spaces. Learn about past projects. Meyerhans considered several project ideas, but the application stated the project had to be under $90,000. She chose to apply for curb ramps at 3rd Ave NW and NW Market Street, estimating they would fall within the guidelines. Meyerhans crosses at this location often, pushing her son’s stroller up and down uneven sidewalk edges, which are often covered in mud that collects on the east side of 3rd Ave NW. How difficult was it to fill out the application? Meyerhans stated that the actual application was very easy to fill out. Once the project was submitted, it was reviewed and she was invited to present at the March 2016 Ballard District Council meeting. Applicants were allotted 5 minutes to present their street fund project and were encouraged to present a slide-show, documents from neighbors, and any environmental or cost projections to better support their project. Out of the dozen or so applications, the Council chose three projects to be forwarded for further review and eventual funding by the City of Seattle. So was Meyerhans project selected this night? It was not. This project is located on the east side of 3rd Ave NW, which is not Ballard. 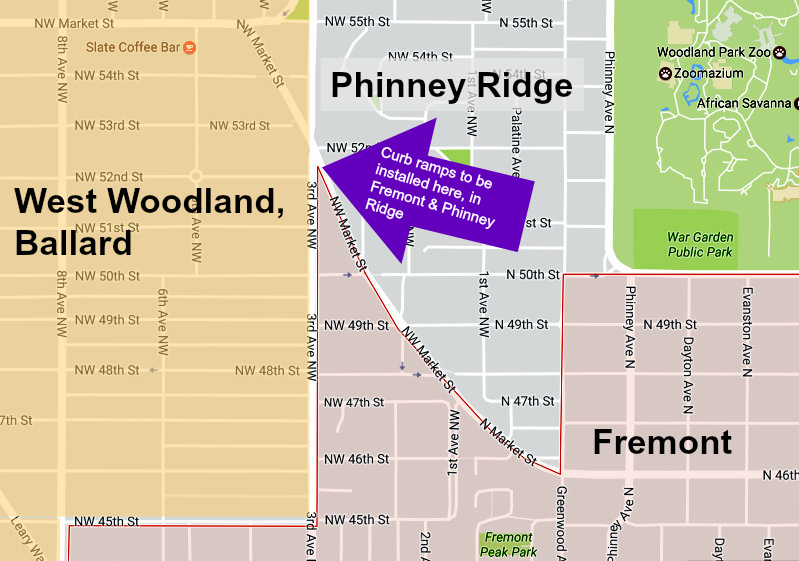 “I had to attend a second meeting on a different evening at the Greenwood Senior center to speak about my project a second time for a different council.” The NW District Council, which covers Fremont, Phinney Ridge, Greenwood, and more, selected the project to move forward along with 2 other smaller projects. Thank you for taking the initiative to improve our community Sarah!